How much do you know about 'The Placebo Effect'? For many years, the placebo effect had been dismissed off as some weird coincidental response to a suspect treatment during drug trials. So, it was brushed off for being unreal. It has only been in recent years, after tons of studies being done on it, that the placebo effect has been proved authentic with some strong psychological explanation to back it up. 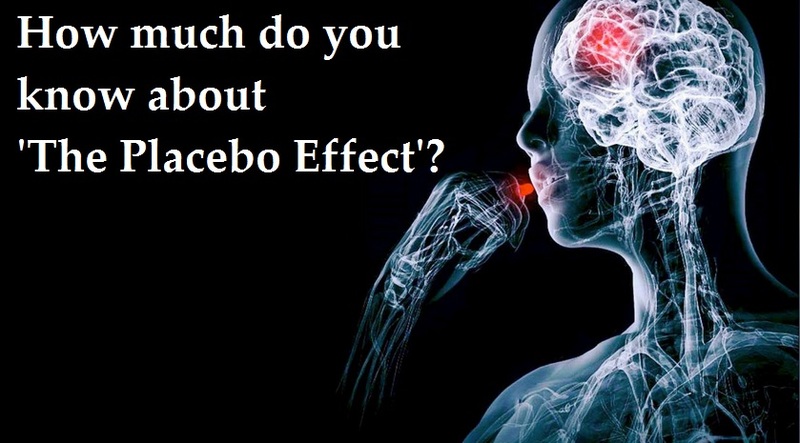 So, how much do you know about ‘the placebo effect’? Let’s go over some FAQs! To begin, what exactly is a placebo effect? There is no fixed definition for the placebo effect, but it can be used for any favorable response, not physiological, that the body shows to medical intervention. It can be pills, non-invasive and non-surgical procedures, counseling, or therapy, anything that can have an indirect effect. Does psychological conditioning have a role to play in the placebo effect? Yes, it does. If someone benefits from a placebo intervention, the brain is likely to associate that positive experience with the benefit the body received. This connection can get stronger with additional exposures. Can taking a placebo also result in unpleasant symptoms? Yes, sometimes, a placebo, though clearly not a medicine can cause a bunch of unpleasant symptoms such as headache, nausea, constipation. The collective term used for these symptoms is 'The Nocebo Effect'. The 2 types of outcomes- placebo effect and nocebo effect together are called as 'Expectation Effects'. If the person taking the placebo (unknowingly of course) expects to feel better, it may happen. But if the person believes that the placebo ‘medicine’ is strong, side effects could also occur. So, can a placebo be the direct cause of negative side effects? No. An individual’s belief changes the whole game by which medicine works. If they believe they are going to feel better once they take the placebo, they will most definitely have a positive experience. This is why, sometimes, procedures and therapies can also be called placebos. It explains how some people instantly feel better after seeing their doctor, without having taken any pills. Why are placebos used in research? Placebos are often used when there is no comparative measure available for a treatment. If a particular disease does not have any treatment available right now and a new drug is being studied, a placebo is often used as a control, to confirm that the effects that a patient experiences are actually the outcome of the new drug and not due to other factors. Does the placebo effect play a role in medicine? Yes. Even though, placebos aren’t actually medicines, there is enough scientific evidence to prove that what a patient expects while taking ‘medicine’, be it real or placebo can significantly influence how the patient feels later. Bottomline is, if a patient participates in a treatment expecting it to work, 80% chances are that it will, and they will come out of it feeling better. Does ‘the placebo effect’ prove that a mind-body connection exists? Researchers have pondered over this ‘big’ question for years, although, many ancient cultures believed that there is a mind-body connection in the way a medicine works. To prove this, scientists recorded brain activity in response to a placebo, they found that a person’s change in perception after taking a placebo (what they believe is actual medicine) actually increases the release of endorphins, the body’ natural pain killers. So while placebos may not help shrink a tumor, they can definitely help reduce pain and anxiety, and aid in overcoming sleep disorders and insomnia in some people, as long as the patient believes in the treatment.